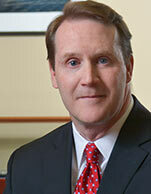 Arthur L. Regan is currently an Operating Partner with Apollo Investment Consulting LLC. Mr. Regan has been the President, Chief Executive Officer and a Director of Principal Maritime Management, LLC, a wholly owned portfolio company of Apollo Global Management created in 2010, which has directly managed and advised Apollo on investments in the shipping industry. Mr. Regan has more than 30 years of experience in the shipping industry in Executive roles including as President and Chief Executive Officer of Arlington Tankers Ltd, a company which he listed on the NYSE through an Initial Public Offering. Previously he was the Director of Global Strategic Planning for Stena Bulk AB, a major international ship owner with a fleet of over eighty vessels in several shipping segments. Regan also earlier held several Senior Management roles within StenTex LLC, a unique Shipping and Trading joint venture with the major oil company Texaco until its acquisition by Chevron. Mr. Regan is a graduate of the State University of New York Maritime College at Fort Schuyler with a degree in Marine Transportation Management, Mr. Regan began his shipping career sailing as an officer on merchant tankers and dry bulk vessels for over ten years, completing his sea service as Master Mariner. He is currently a Member of the North American Panel Committee of the Classification Society DNV-GL.